Staking a gas block is a major frustration without the proper tools when doing a custom AR-15 build. Well Davidson Defense has introduced a solution to this problem with their Fast Block Micro Low Profile Gas Block. The Fast Block allows a builder to assemble a gas block without the use of jigs, mallets, or punches. Davidson Defense has improved the design of a traditional gas block by adding threads to both the pin and the gas block itself. This allows a gas block to be assembled by either threading their panted threaded-solid-pin with a star-bit from one side or be traditionally staked from the opposite side of the gas block due to an asymmetrical pin-hole design. The Davidson Defense Fast Block makes the installing of a gas tube to a gas block easier than ever. 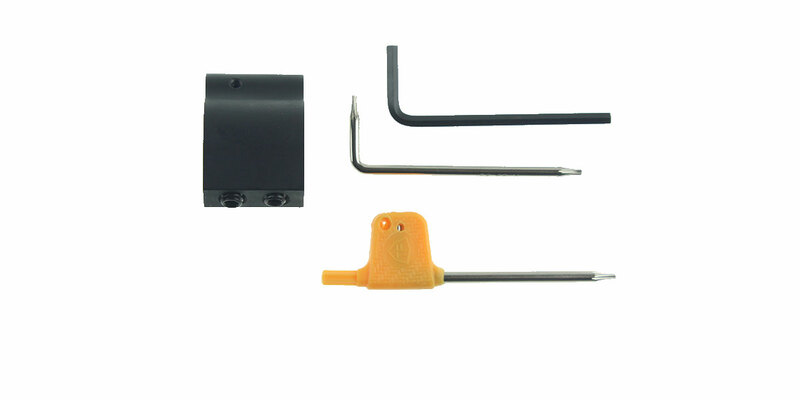 Don’t spend money unnecessarily on tools and jigs designed exclusively for gas blocks and save yourself the headache of trying to assemble your AR-15 without having the proper tools. The Fast Block makes removing your gas tube easier than ever. Now you can remove your gas tube with ease for cleaning, swap your gas block between different barrels, or replace your gas tube on the fly. The Fast Block is made from 4150 CMV with a black finish. Its low-profile design is compatible with both premium and slim free-float handguards (it may be too tall for some super slim handguards).